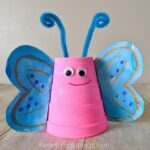 Have you ever wanted to make a craft with your kids or your kids asked to make one, but then as you grab the paint you cringe from the thought of all the mess? I have been there more times than I can count. 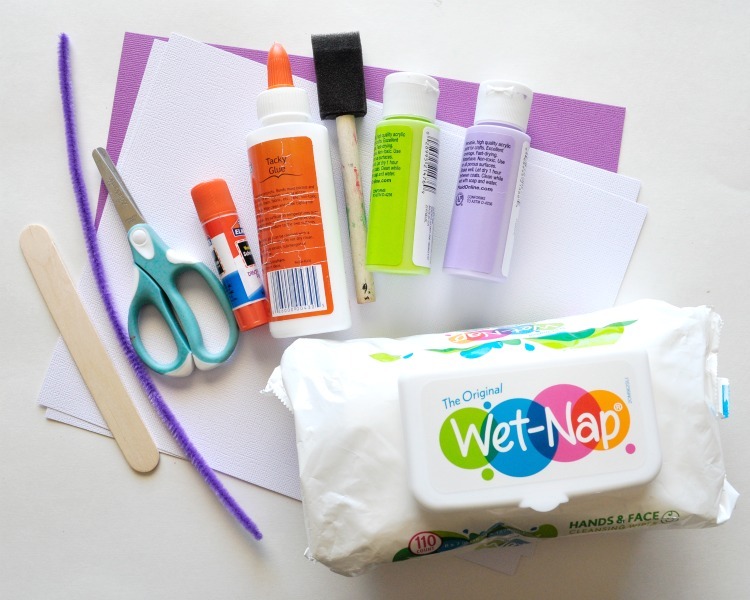 Crafting with kids often calls for some super messes! 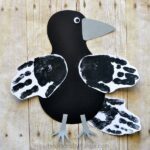 One of my all-time favorite kid crafts is handprint art. 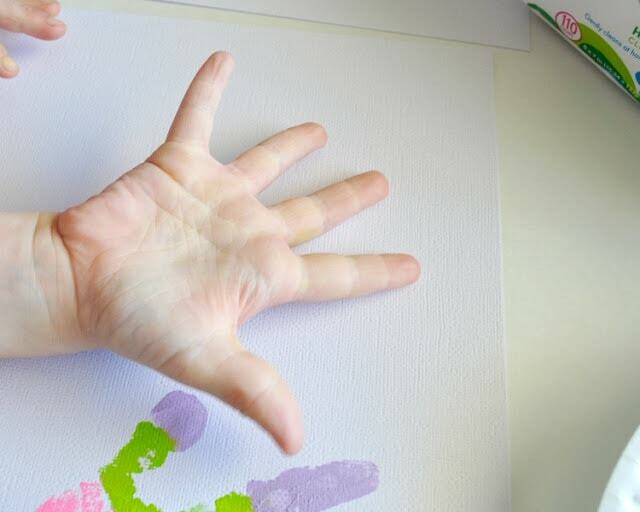 I love how the art turns into a priceless keepsake with my child’s handprints, but the mess of making the art is something I can definitely live without! I honestly used to shy away from handprint art but recently I discovered a trick that makes for easy clean up of hand paint. 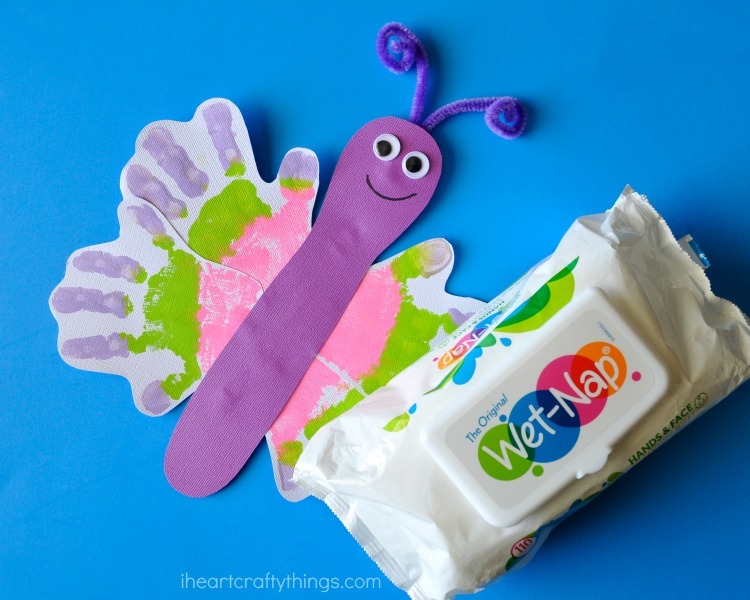 Wet-Nap® Cleansing Wipes were especially helpful in our latest Handprint Butterfly Craft. 1. Gather all of your supplies. We recently stocked up on these Wet-Nap® Cleansing Wipes at Walmart because they make craft clean up super duper easy. Now I keep them on the craft table for every craft we make because you never know when an unexpected mess will happen. 2. Now the messy part begins. Paint one of your child’s hands with paint. You can choose one color or layer several colors like we did. Have your child press their painted hand onto your white cardstock paper. 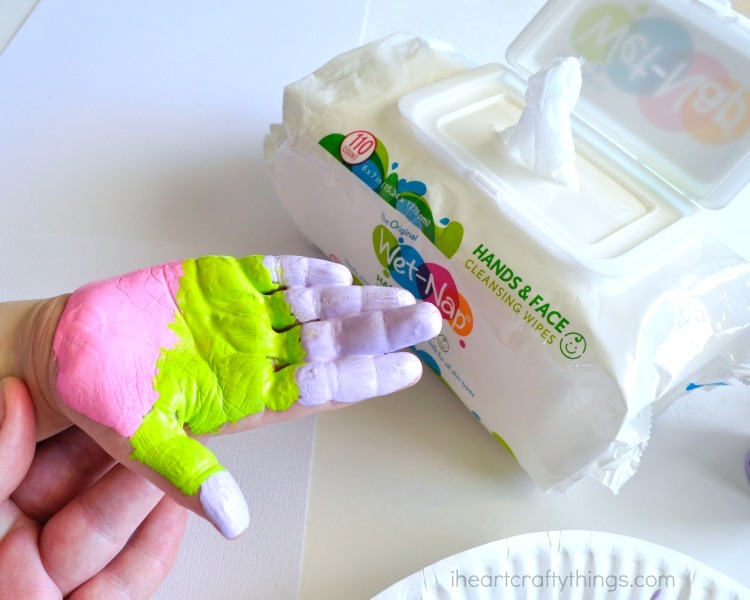 Then re-apply the paint and make one more handprint with this hand. 3. Once you are finished making two handprints grab a Wet-Nap® for your child and wipe off that paint. My daughter is old enough to do this step herself but toddlers and babies will need some assistance. Throw the Wet-Nap® away. 4. Now, apply paint to your child’s other hand and have them make two handprints with it just like you did the other hand. 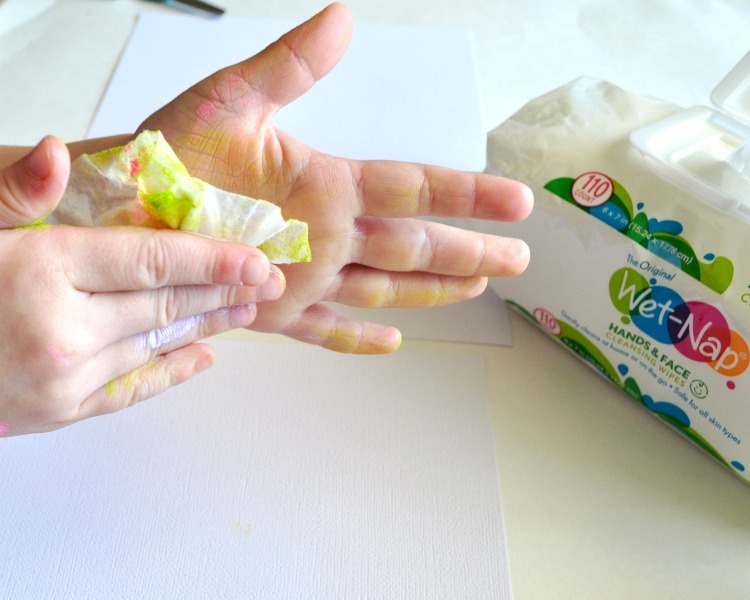 When finished use another Wet-Nap® to wipe off the paint and set your handprints aside to dry. Now look…hands are all clean! The best part is we didn’t have to get paint all over the sink or get paint on any walls or floor on our walk to the sink. So easy peasy right?! 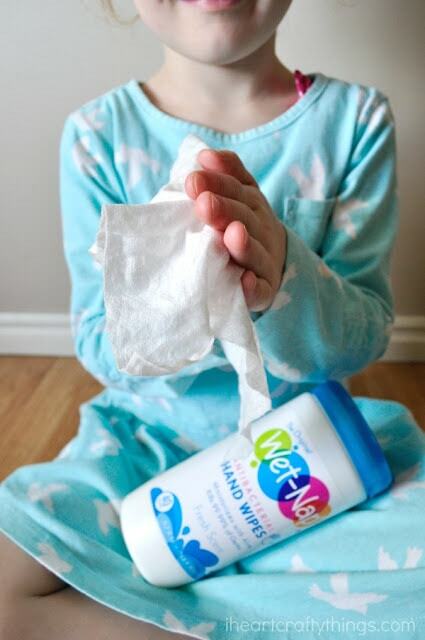 One of my favorite things about Wet-Nap® Cleansing Wipes is that they are safe on both the hands and face. My kids have sensitive skin and are prone to eczema so I love that they are gentle on the skin yet strong enough to deal with a super mess. They also have moisturizing with aloe so I don’t have to worry about them drying out my kids’ skin. 5. When your handprints have finished drying, cut them out. 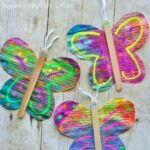 You will also need to cut a butterfly body out of your colored cardstock paper. 7. 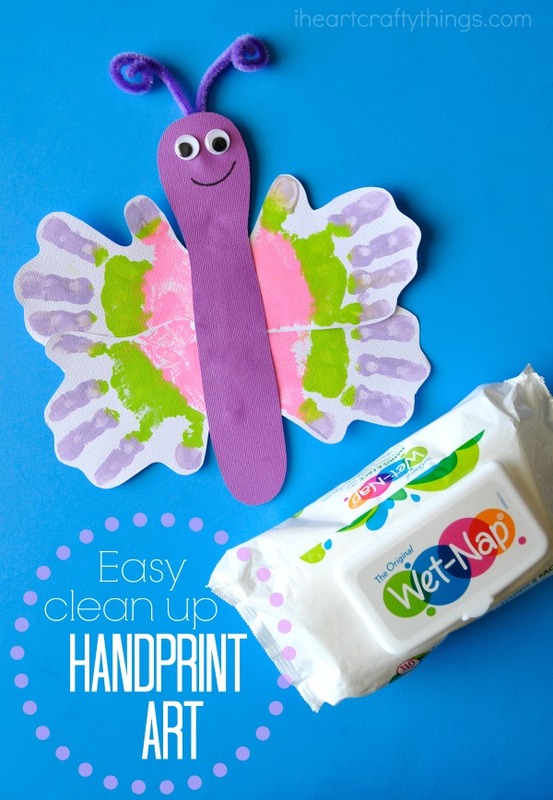 Finish your handprint butterfly by gluing on your googly eyes and drawing a cute little smile with your black marker. 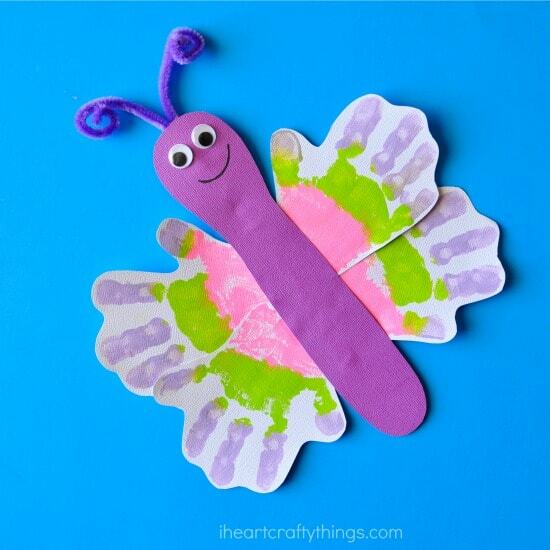 Optional: My daughter loves to play with her crafts so to add some extra stability, we glued a jumbo craft stick on the back of the butterfly. This step is completely optional. Visit Walmart for all your Wet-Nap® needs: 110-Count Hands, Face, & Body Cleansing Wipes, 24-Count Packettes Antibacterial Hand Wipes and 40-Count Canister Antibacterial Hand Wipes (while supplies last). Besides using Wet-Nap® products for crafting, I also love to keep a canister of the Antibacterial Hand Wipes on hand for all of our family summer adventures. They are so helpful when we are playing at the park or hanging out at the pool and want to clean germs off of our hands before taking a picnic lunch break. Find more useful ways of using Wet-Nap® products on Facebook, Pinterest and YouTube.